Dr. Biskup graduated from Creighton Prep High School in Omaha and moved to Bellevue with his family at the age of 15. He attended college at the University of Nebraska and graduated from the University of Nebraska Medical Center in 1984. He completed his internship as a young Navy Lieutenant at Camp Pendleton Naval Hospital in California. Immediately following that, Dr. Biskup served for two years as the Chief Medical Officer at the Marine Corp Mountain Warfare Training Center in Bridgeport, CA. Dr. Biskup completed his residency at University of Nebraska Medical Center in 1989 and became Board Certified in Family Medicine. For the next two years, he returned to the military setting, working in the Primary Care Department at Offutt Air Force Base’s Ehrling Bergquist Hospital. 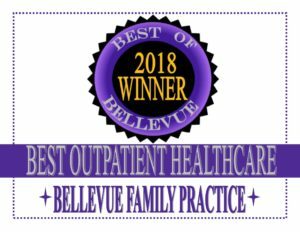 He joined Dr. Saniuk in 1991 at Bellevue Family Practice practicing family medicine. He eventually became interested in Antiaging and Hormonal Therapy in 2004 and now is Board Certified with the American Academy of Anti-aging and Regenerative Medicine and also with the American Academy of Integrative Holistic Medicine. Dr. Biskup received Certification in Advanced Bioidentical Hormone Replacement Therapy as well as Metabolic Cardiovascular Health. He continues his knowledge by training with some of the best authorities in this field. He is married to Geri, who shares his passion for Prevention and Hormonal Therapy; he has two sons John and Dan, a daughter Kelli, and a grandson, Lucas. He enjoys skiing, running, hiking and has recently completed his third 14’er ascent/descent (climbing a 14,000 foot mountain).